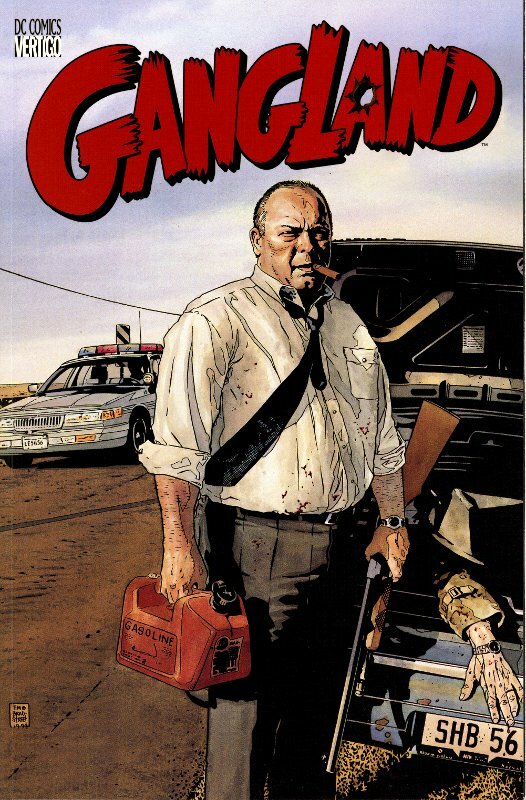 Mixing realism with humor, GANGLAND presents an entertaining and surreal look into the violent world of gangs and organized crime. These fourteen felonious tales of malice and duplicity explore the motivations of men uniting for illicit gain through violence, murder, and intimidation. Featuring made gangsters, suburban wannabes, and alien enforcers, this provocative book includes stories of a lonely hit man on a suicide mission, a mob informant’s deadly new life, and old-school retribution in New Russia. The draw here is the remarkable list of talent all doing short stories in a crime motif; it’s a real who’s who of comic book creators. Highlights include a hitman versus mafia family illustrated by Frank Quitely and a Russian crime boss by Dave Gibbons. My favourite is the last story illustrated by Mark Chiarello about some local hoods leaning on businesses in Chinatown. Each tale is short and gets to the point, carried along strongly by the art. The styles really jump around, mixing it up every issue with colour palettes, techniques, you name it. On one hand you have something for everyone but I skipped a few tales because it was way out of my visual interest. At $12.95 U.S. for one hundred pages of content it’s a decent value. If you like crime stories with a dark angle Gangland is worth picking up. Vertigo offers a free preview.